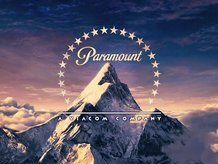 Can Paramount's upcoming film slate push Viacom's profits up? Viacom, the owners of MTV, Paramount Pictures and the Rock Band franchise, has announced a massive 69 per cent loss in profits. The loss is being put down to redundancy payouts – 880 jobs were cut in December – and a write-down of assets. The loss equates to a $387 million year-on-year, with profits down to $173 million (£120 million) from $560 million (£350 million) the same time in 2008. Viacom is putting the profit slump down to a decline in advertising and a slowing of DVD sales, with Viacom President Philippe Dauman saying the company's fourth-quarter results "reflect the realities of a challenging economy." In 2008, the company had successful DVD releases of Iron Man, Kung Fu Panda, and Indiana Jones and the Temple of the Crystal Skull, but still saw a 6 per cent dip in the home entertainment market. There was some good news regarding the cinema revenue. Paramount saw 28 per cent jump in revenues to $350 million (£240 million). The company is hoping that its 2009 film slate will also perk things up – with the likes of Star Trek, Transformers 2: Revenge of the Fallen and "GI Joe all coming out this year.